Our range of services include ATM & EFT Switch, Debit Card Issuance and Maintenance Software Solution - StarCARDMAN, Reconciliation Software Solution - StarRECON, Prepaid Card Issuance Software Solution - StarIFPS, Financial Inclusion Software Solution - StarFIPS and Mobile Wallet & Mobile Banking Application - StarM-PAY. 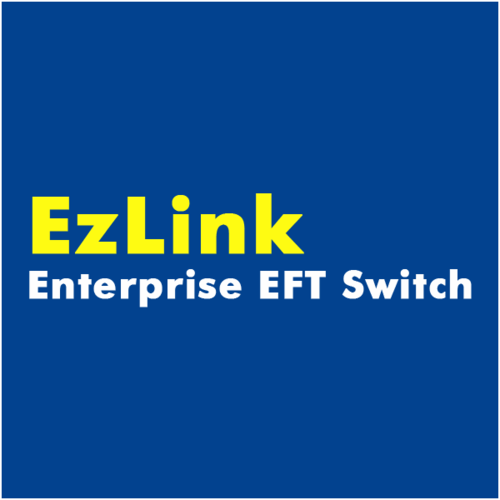 EzLink Enterprise is a PADSS Certified, high performance credit and debit-processing EFT [Electronic Fund Transfer] switch capable of authorizing & routing any financial transaction based on the pre-defined rules/configuration. EzLink Enterprise can support a wide variety of platforms and configurations tailored to meet client, site specific and hardware requirements. EzLink has the capability to drive any SST like ATM, Kiosk, POSand Teller Terminals directly. External Interface is provided through Std. ISO8583. EzLink is designed to handle the complex flow of acquirer & issuer transactions within as well as across different financial institutions in a very flexible/configurable way, thereby providing the exact solution tailored to meet the client requirement. EzLink follows a layered n-tier architecture in which the EzLink modules will be deployed over the EzKernel middleware. EzKernel is a very high performance server based middleware which can be deployed on any UNIX [Linux, Sun Solaris, IBM AIX] based operating system. EzKernel provides all the essential operating system services to the application [here EzLink will be the application] deployed over it. The unique advantage of Ezlink is to support Multi-institution operation & driving Multi-brand ATMs & Multi-type terminal (ATM, kiosk, POS). Other outstanding advantages include being RuPay, MasterCard, VISA & CUP certified. StarCARDMAN is a web based PCI DSS compliance ATM / Debit Card Issuance and Maintenance Software Solution, designed specifically for the banking segment dealing with small to huge clientele base. CGS through its state-of-the-art product manages the complete life cycle of card production and maintenance. It offers services ranging from Card Registration, PIN Generation, ASCII file generation for third party Card Personalization Vendor, Link file generation for EFT Switch, REPIN, HOT listing etc. StarCARDMAN has a richness of 'Client-Server' architecture as well as web-based module. Support most of the international and national interchanges like MASTER, VISA, CUP, RuPay and SPNS (Base24/IST-Switch). Support EMV and Magnetic Strip Cards. Support both “Personalized Card” and "Instant Card " Issuance. Has flexible user management in which different privileges can be assigned / revoked to individual /group of users. Maintain and log detailed audit trail. Support configuration of BIN, Limits, PIN Mailer, and Account Type etc. Support Traditional and Green PIN both. Support Single card linked with multiple account (OAR) and multiple cards linked with single account. Generate Various reports related to Issuance and Maintenance. Can reconcile transaction initiated from any SST, Switch, CBS and Interface. Highly parameterized, operational & decision-making system to support the fast changing requirements of the bank. Maintain and calculate fees/commission, Tax etc. Support VISA/MasterCard/China Union Pay/JCB/Amex/LankaPay/Rupay and most of the National Network reconciliation. Support Automatic and Rule based Reconciliation. Reports can be filtered and generated based on almost all the entities/factors. StarIFPS is a “Prepaid Card Issuance and Authorization System” which allows the end customer to run their prepaid card business tailor made to suit their business requirements. It is designed in such a way that all the different kinds prepaid business logic can be configured in a highly flexible way and provides a very robust environment for authorizing the online prepaid card transactions. StarIFPS is able to issue prepaid cards for a variety of domains like Banking, College, Health Care, Insurance etc. and allows the end customer to configure the business rules as per their requirements. StarFIPS (Financial Inclusion Processing System) is an innovative solution to facilitate banks and MFIs address a large section of the financially under-served population by taking the banking service to doorsteps of customers. It has been employed in the BC model to aid the financial inclusion process for the Hand Held Devices. It supports both Online and Offline transactions with PIN and Biometric Authentication. StarM-PAY provides a robust platform to link the Consumer, Banks and Merchants remotely through the strong and secured Platform. In-order to fulfill the customer needs and to help the bank and merchant, StarM-PAY builds an integrated eco-system where Mobile Wallet and Mobile Banking are embedded in single mobile application. It allows users to access their bank account, manage their Cards - (Debit, Credit and Prepaid), transfer funds, pay utility bills, track Cheque, m-commerce, m-wallet and more value-added services. StarCAS is a Control Access System for EFT switch, having the capability to monitor the delivery channels (like ATM, POS, and Kiosk etc.) control the channels and reporting. StarCAS a browser based front end application, integrated with EFT payment switch. StarCAS has richness of 'client-server' architecture with oracle as the back-end. The StarCAS has a flexible user management with powerful user authentication module. StarCAS is completely deployed on latest open source technology. Look & Feel of the devices, which are monitored and controlled. Monitoring of connectivity and interchange. Configuration module to add/modify ATM, BIN, FIT etc.